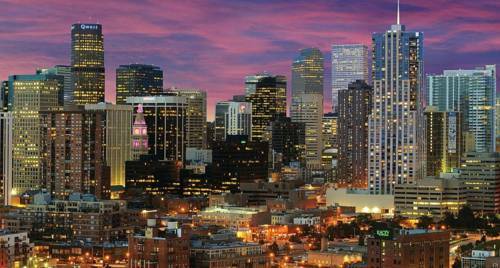 In a city thats already one mile high the Four Seasons Hotel Denver soars even higher. Within a landmark tower crowned by a glowing spire youll find the Hotel in the heart of Denvers theatre district and within range of the Rocky Mountains both viewable from the Hotel. An icon of sophistication housed inside a landmark 45-storey tower Four Seasons Hotel Denver offers 239 ultra-spacious guest rooms and suites. Spacious inviting and residential in style the Hotels urban-chic design subtly reflects the natural beauty of Colorado and oversized windows thrill the eyes with downtown views and Rocky Mountain vistas. In-Room Dining: Room service is available 24 hours a day with breakfast served from 05.30-12.00 Hours. Experience the vibrant culture of a downtown regarded as one of the most walkable. Found in the heart of Denvers Theatre District the Hotel is also your ideal jumping-off point for a mountain getaway.